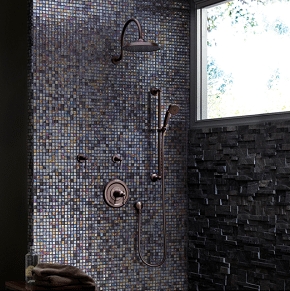 You can take your next tiling project to a whole new level with the latest tile collections from Jeffrey Court. The latest chapter in the Jeffrey Court tile collection reflects the recent trends that incorporate both natural stone and glass. Come see the newest trends in tile, and check out the latest selections of Jeffrey Court has to offer, at one of Conestoga Tile’s showrooms.